Statistics of Evolution Doesn't Lie! Most evolutionist confirm that the statistical probability of even a single nucleic acid forming, in and of itself, is EXTREMELY REMOTE to the point IMPOSSIBILITY. It would only stand to logic, common sense, and reasoning that the likelihood of whole chains of DNA forming on their own, by sheer random chance, is simply IMPOSSIBLE, since its more complex. The formation of complete chains of DNA is critical to evolution as without them forming by unguided chance, the cell would never form. However evolution insists that somehow given millions and billions of years, that the probability somehow increases with time or the number of attempts. Math rejects this notion completely. The mathematical odds NEVER CHANGE, even over time!! They base their argument upon rolling dice. The probability of getting any 1 number, lets say a 6, on a 6 sided dice is simply 1 out of 6 or 1/6. 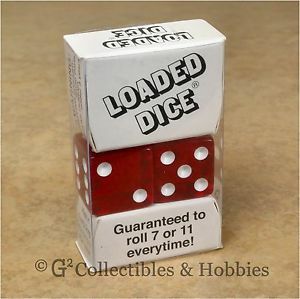 Their argument states that the more times you throw the dice, the more 6s you will roll. Even though rolling a 6 is remote given enough rolls you will get lots of 6s. Therefore with hundreds of rolls you just increased your odds of rolling the needed number. The problem with this argument is it is completely devoid of mathematical fact. If you total the number of times you roll a 6 and divide by the number of attempts, you will ALWAYS get the odds equaling 1/6. Even if you increased the number attempts to infinity you would always have the chance as 1 in 6 or 1/6. And this is just on a simple 6 sided dice with 6 chances. Can you imagine the odds of something like a single strand of DNA forming by random unguided chance, where you are throwing the equivalent of 20 six sided dice with only 1 correct outcome to result in the correct nucleic acid? And this is over-simplifying the odds. Ref: Does the probability of rolling a '6' in dice change over time? NO | ELI5: If I attempt something with 1% probability 100 times, I don't get a 100% probability. It's still 1%. | Gambler's Fallacy | ​​​ Statistics of Dice Throw | Probability, Odds and Random Chance - ProblemGambling.ca | Does repeated activity increase the probability of a specific event happening? NO!! People, that insist its scientific for evolution to have occurred, simple have no grasp of the math that even the most prominent scientist admit are alarmingly against evolution. Even in all scientific circles, the odds are astronomically against evolution. "Many scientists are convinced that cells containing such a complex code and such intricate chemistry could never have come into being by pure, undirected chemistry. No matter how chemicals are mixed, they do not create DNA spirals or any intelligent code whatsoever. Only DNA reproduces DNA." "Two well known scientists calculated the odds of life forming by natural processes. They estimated that there is LESS THAN 1 chance in 10 to the 40,000power that life could have originated by random trials. 10 to the 40,000power is a 1 with 40,000 zeros after it!" Mind you these odds of life forming by random accident is according regular scientist who refuse to acknowledge a guiding intelligence. Yet they still must acknowledge that without a guiding intelligence out there life by random chance is IMPOSSIBLE, period. There is literally no room for debate when it comes to math and science, as they are both based on cold hard facts. ​Even today, we have plenty of people who insist that throwing a dice despite the odds being against them. Interestingly their odds they choose to gamble against are much better than the gamble, evolution requires one to take and win. These people usually can be found in smoke filled rooms in gambling halls in Vegas, Reno, Native American casinos, and sometimes in back door ILLEGAL gambling halls the world over. 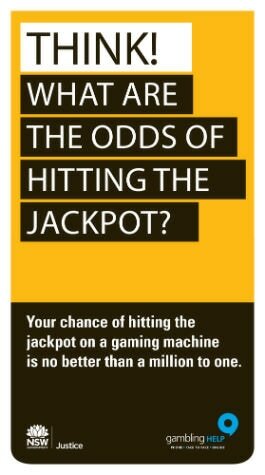 The irony is, while the gambling problem is exactly the same, one is recognized as a real problem and treated while the other is simply denied and allowed to persist, as if it is natural and scientific. This problem is so common that it has its own name, "Gambler's Fallacy". There are whole host government resources dedicated to treating people that think the probablity of certain occurrences is somehow increased depending the number of times they try, the amount time they have continued to try, and the previous results not in their favor. Evolution hopefuls need to simply realize what gambling counselors and mathematicians have been saying for generations. The odds of each attempt remains UNCHANGED and EXTREMELY RARE and RESET with each attempt no matter how many times you attempt and how long you attempt. Ref: Does repeated activity increase the probability of a specific event happening? NO! | The chance on the 1st toss is 50%, & on the 42nd toss it's 50%, & on the 100th toss it's 50%. The ONLY Sure Way to beat IMPOSSIBLE ODDS!! So is there a way to beat the UNCHANGEABLE ODDS? Yes there is. That is for SOMEONE, to FORCE the result to become that impossibly remote result irregardless of the odds against it, like is the case with DNA forming. That is the only way. But to do something like that, you would need someone with godlike power to beat out 1 in 10 to the 40,000 power odds. And mind you this is only for DNA to form. We haven't even addressed the additional odds of DNA form their long chains of chromosomes, which alone is 1 in 10 to the 600 power odd. So who is this god that is so powerful He could rig impossible odds? According to the Bible, this god is Yahweh and spoke the universe and all its creatures into existence in an instant. This god is the only one in existence who cared so much about people that He sent His Son, Jesus of Nazareth, to die paying the penalty for all sins we commit. Instead of having us futilely try earn our own way to Heaven with absolute perfection in thought and deeds, He had Jesus do it all for us. This way Yahweh holds out as a FREE GIFT this salvation earned by the blood of His perfect Son to you and I. All we have to do is accept the sacrifice and be saved. The Bible even says that is God's will and desire, for us to BELIEVE on Jesus and be saved. (2Tim2:3-4) Won't you trust in Jesus instead of hoping against the impossible odds of 1 with 40,000 zeros after it? Pray this prayer and start trusting in the God who made you and the universe.